How much revenue are you taking in from your inbound marketing efforts? To measure the success of inbound marketing you must review some KPI (key performance indicator) metrics. Knowing which KPI metrics to include in your inbound marketing review is essential to see how it’s performing. No company wants to invest into something without being able to measure the success or lack thereof from their efforts. You will naturally want to see if your website traffic is growing. This number in itself will tell you if your inbound marketing efforts are working. You should see a steady climb in organic traffic and a boost in social traffic if you’re blogging 2-3 times a week and sharing those blog posts with your social circle. Other web traffic sources to report on include: direct, referral, and e-mail traffic. Leads, leads, leads. We all want leads and we want more leads. Looking to see if your lead count is rising is something you must include in your inbound marketing review. If website traffic is trending upwards and you’ve placed appropriate calls-to-action on your website and consistent blogging that drives traffic to different offers, you should see a rise in your lead count. One tip to increase lead count is to focus on the conversion rate of individual pages and that you have good CTAs on your most visited pages. Don’t confuse the number of customers with the total number of revenue. What you want to know if how many different leads you’ve closed into customers. Make sure that you have CRM integration set-up and running. Salesforce.com is a popular CRM. In addition to knowing the number of customers you’ve recently gained, look into the reporting tool to see how the customers found your website. Was it a social media post that pushed them into the funnel? Or maybe it was a blog post that the customer found organically via Google? Knowing your customers by channel helps you understand what’s working and what’s not. It gives you insight into what needs some assistance and what your doing right that you could apply to other channels. Not only do you want to measure the customers you’ve gained with inbound marketing, but also you want to see how much you’re spending per lead. 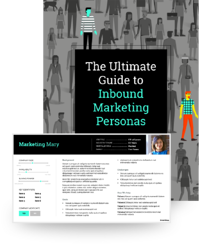 If your company is making a strong push for inbound marketing, you can break down the numbers by each inbound campaign. Some cost areas to consider when calculating cost per lead: marketing time, creative time, software, and other general overhead costs. Simply take the total spend on inbound marketing for the length of the campaign, divide by the number of leads gained during that time and you have your cost per lead. This is what we refer to as the visitor to lead conversion rate. Piggybacking on total visitors/traffic, it’s important to know the rate at which your website traffic is converting into leads. A good benchmark for this is 2 to 4 percent. Another great metric to report is the conversion rate based on source. Whether that is organic, direct, referral, social, or e-mail traffic, knowing which source provides the highest conversation rate will allow you to focus on areas that need help. A lead is a lead right… well not exactly to be honest. We can breakout leads into these two categories, marketing qualified leads (MQLs) and sales qualified leads (SQLs). The main difference between the two is that SQLs typically have filled out a request for consultation, demo request, or a form that implies they’d like to speak to someone at your company. Reporting which leads fall into MQLs and SQLs in your inbound marketing review is good information to have. You may see that most leads are stuck as MQLs and build a new nurturing path to guide them into a consultation request. Are the visitors coming to your landing pages converting into downloads? Ideally we should see a rate above 20%. Now that benchmark depends on some other factors, but if your landing page is converting at a rate of 3%, it may be worth looking into changing the landing page imagery, copy, form fields, or setting up an A/B test to try out a different technique and see if that results in higher conversions. High conversion rates means more leads, more leads means more SQLs, more SQLs means more customers. 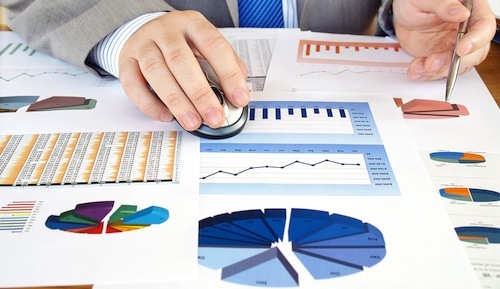 There you have it, seven KPI metrics you should include in your inbound marketing review. Gather the data, review the data, and act on the data to increase the performance of your inbound marketing efforts.